Unlike conventional medicine, which focuses on attempting to treat disease once it occurs, Spectrum Health Center emphasizes improving your health in an effort to reduce the risk of pain and illness in the first place. Most people would rather be healthy and avoid illness, if they could. This is one of the main reasons for the big surge in the popularity of our wellness center. People are recognizing the benefit of seeking an alternative to traditional medicine; one that will help them achieve and maintain optimal health. As a patient at Spectrum Health Center, you can rest assured that we will personally tailor a wellness program specifically targeted to your wellness needs using the most innovative and highly-effective methodologies to ensure you regain and continue to function with optimal health. 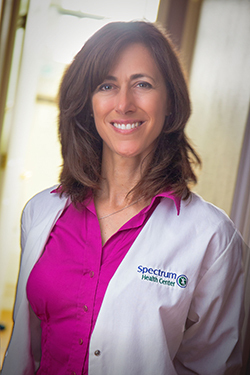 Dr. Michelle Del Bene started Spectrum Health Center in San Jose, California in 1997 to provide patients with the most cutting-edge chiropractic care. She focuses on restoring the functionality of the central nervous system which coordinates all of the body's activities. 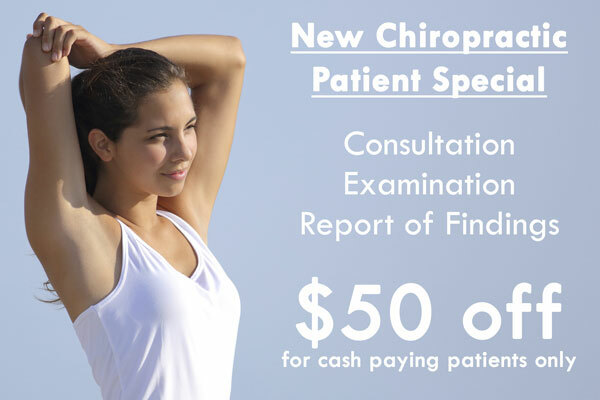 Because this central communications network is housed in the spinal column, chiropractic is a key component to ensuring long term health, pain relief and a high quality of life. Dr. Del Bene creates personalized patient-specific treatment protocols that achieve superior results for even the most chronic and difficult cases. By looking at the root causes of problems, she helps patients to restore their proper spinal-biomechanics and neurological functionality resulting in optimal health and vitality. She also applies her extensive knowledge in Functional Medicine; Functional Endocrinology, Blood Chemistry; Fitness and rehabilitation to reverse, stop and prevent disease and its symptoms. Dr. Del Bene utilizes the Pettibon Chiropractic Technique, Individual-Specific Spinal Adjustments, Specialized Body Weighting Systems that Enhance Neuromuscular Re-education, Corrective Exercises and Core Strengthening to help patients to make long-term improvements to their health. Dr. Del Bene also employs Traction and Vibration Therapy; Sports Medicine; Diversified Technique; Thompson Chiropractic Technique; Flexion/Extension Therapy; Kinesiology; Activator Chiropractic Method; Cervical and Lumbar Decompression Therapy and Physical Rehabilitation techniques as needed. Physiotherapy modalities also used include In-House High Frequency X-Ray Services; Electrical Muscle Stimulation; Microamperage Neural Stimulation; Cryo and Moist Heat Therapy; Manual Traction' Ultrasound. Dr. Del Bene graduated from Palmer College of Chiropractic West and received her Doctorate of Chiropractic in 1993. In addition, she worked as a phlebotomist at Good Samaritan Hospital for eleven years. Prior to her career as a Chiropractor, Dr. Del Bene worked with disabled children and was a certified nursing assistant at Central County Occupational Center. Dr. Del Bene has lectured at Stanford Medical Center and is a member of the California Chiropractic Association. She also volunteered as a personal trainer for the Santa Clara Aquamaids as well as a team therapist for the leukemia foundation "Team In Training" triathlon and marathon teams. She is an athlete herself and loves to participate in a variety of sports activities and has taught stretching / core stabilization classes at the Campbell Community Center for several years.